If you have ever removed an heating and air vent from one of the ducts in your home, you may have been surprised to find years worth of built up dust and filth. This dust may contain mold, bacteria, pollen and other allergens, which are continually being recirculated throughout your home. Sure you can call a duct cleaning company, but as soon as they leave and you turn your HVAC system on again, the filth begins accumulating again, almost immediately. You can replace your HVAC filter with a fancier more expensive one, but none remove all contaminants from the indoor air. 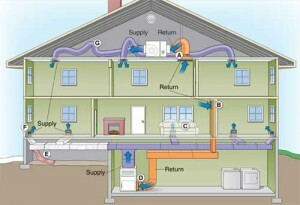 The problem lies in the design of the traditional ducted heating and air system. 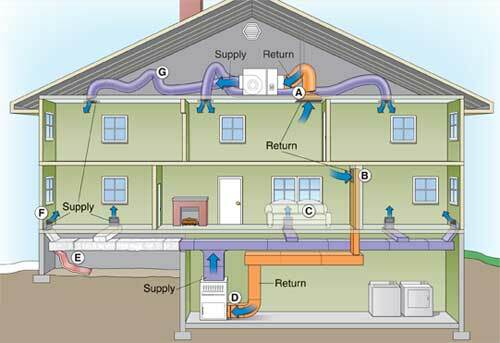 By design traditional ducted systems are constantly re-circulating air from the home through a mechanical system of fans (which usually are filthy as well) which push it through a network of ducts, back into the living space, and then into the return air vent and the cycle repeats. 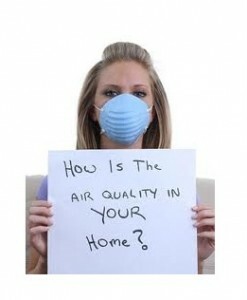 As a result contaminants that enter the home slowly build up in the system, and if not cleaned habitually, are being breathed by you and your family over and over again. There is a solution, however. Ductless heating and air systems have no ducts or vents to accumulate filth. In fact ductless technology not only can provide clean, healthy air, but year round comfort, at high efficiency and low cost. 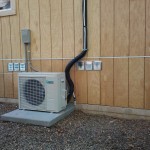 Ductless systems generally use a third less power than conventional ducted systems. In addition these systems can be installed virtually anywhere with no messy tear-out or construction. 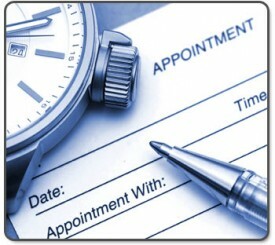 Systems are available sized for a small room or a whole house. Typical Ductless Installation. Only a three inch hole is required to install indoor unit. No messy tear out construction. Notice the clean slimline design which easily blends with any decor. 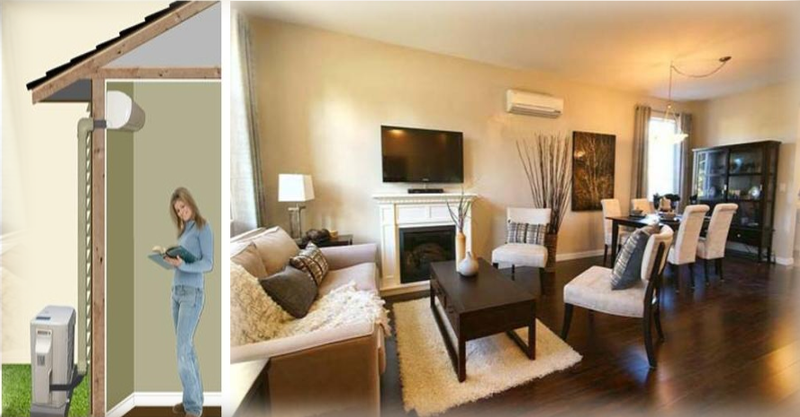 Check out the new ductless technology today and experience clean, healthy, efficient comfort for your home and family.